Two days back I had problem of diarrhea, for which a friend suggested me to try this oil, which gave me wonderful results within few hours. Soluble in alcohol and oils but insoluble in water. Geranium is a hairy perennial shrub that is extensively used in hedgerows and can grow up to one meter high. The plant has pointed leaves, serrated at the edges with pinkish-white flowers. In ancient times, geraniums were planted around the houses to keep evil spirits at bay. 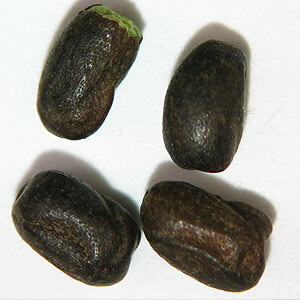 The plant is organically cultivated and is Indian Organic Certified. It is composed of various chemical components such as a-pinene, myrcene, limonene, menthone, linalool, geranyl acetate, citronellol, geraniol and geranyl butyrate. 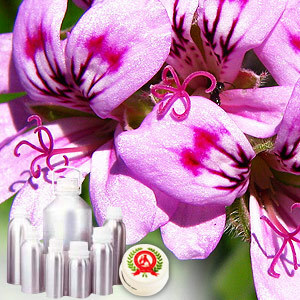 The geranium oil has various therapeutic properties and used as astringent, haemostatic, cicatrisant, cytophylactic, diuretic, haemostatic, styptic, tonic, vermifuge and vulnerary. It is also useful in the treatment of acne, bruises, burns, cuts, dermatitis, eczema, hemorrhoids, ulcers, breast engorgement, edema, poor circulation, sore throat, tonsillitis, menopausal problems, stress and neuralgia. Indian Certified Organic (ICO) and Department of Agriculture.